5Stem Cell Research Center, Tabriz University of Medical Sciences, Tabriz, Iran. Objectives: Articular cartilage has a limited potential for self-repairing due to the scarce number of chondrocytes and avascularity. As regards the low proliferative potential of chondrocyte under in vitro conditions, nowadays mesenchymal stem cells are introduced for osteoarthritis (OA) treatment. 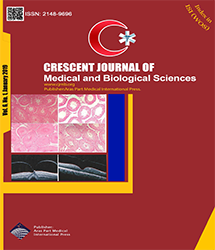 Accordingly, the present study aimed to evaluate whether co-culture of chondrocytes with 2 different sources of mesenchymal stem cells, namely, adipose and Wharton"s jelly derived can promote the expression of cartilage specific genes by chondrocytes. Materials and Methods: Mesenchymal stem cells were isolated from both adipose tissue and Wharton"s jelly. The obtained cells were co-cultured with chondrocytes or cultivated alone as control for 3 days. Then, cartilage specific genes including collagen II, Sox9, cartilage oligomeric matrix protein (COMP), and aggrecan were evaluated using the real time Reverse transcription polymerase chain reaction (RT-PCR). Results: The expression of genes in chondrocytes alone was significantly higher compared to the co-culture of chondrocytes with both stem cell types. In addition, the results revealed that co-culture of Wharton jelly derived stem cells (WJSCs) with chondrocyte led to higher expression of genes compared to WJSCs alone. However, the co-culture of the adipose-derived stem cells (ASCs) demonstrated no significant change. Conclusions: Generally, no up-regulation of cartilage specific genes was observed by co-cultivation of chondrocytes with ASCs or WJSCs compared to chondrocytes. Further, stem cells derived from Wharton"s jelly expressed higher levels of the above mentioned genes compared to those of the ASCs.